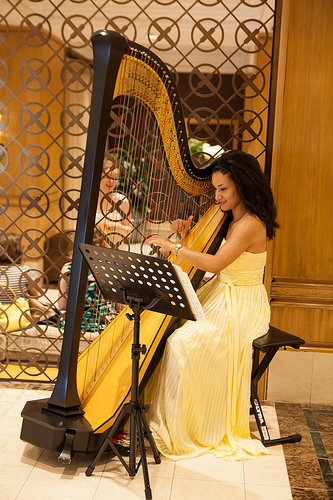 Come visit the newly renovated lobby of the Rittenhouse Hotel every Friday, Saturday, and Sunday from 2 – 5 pm for live harp music and afternoon tea in the Mary Cassatt Tea Room. For more information on afternoon tea, please take a look at New York food blogger the Wandering Eater’s blog post featuring yours truly! I perform a wide selection of music from classical to pop to jazz, so stop by if you are in the Rittenhouse Square area!